Based out of our Cork office, Eamon has contributed to the continued growth and success of our customer base in the Munster and Connacht regions. 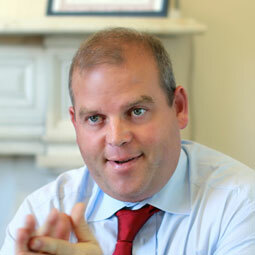 Eamon is focused on building strong relationships with our clients and introducing them to our broadening portfolio. He works closely with our customers providing solutions for their equipment needs. Eamon graduated from UCC with an honours degree in Microbiology and began his Life Sciences sales career in 1992 before joining Bio-Sciences in 1994. Eamon is our Product Specialist with responsibility for CCE (Contamination Control Equipment), Microplate Instrumentation, Gel Documentation lines and Real Time PCR Instrumentation. Eamon’s customer focus, dedication and loyalty have made him an integral member of the Bio-Sciences team. Jane has been working with Bio-Sciences since 2000 and is the legacy Invitrogen brand Product Specialist. One of Jane’s many attributes is her ability to develop relationships with key clients across all business sectors. Jane provides on-going in-house sales support for the Field Sales Team and provides and organises routine scientific sales training for the team. She works closely with the sales and marketing team to develop and launch new product promotions on a rolling basis. Jane liaises directly with major product suppliers to further develop key relationships and keep up to date with new and emerging technologies. 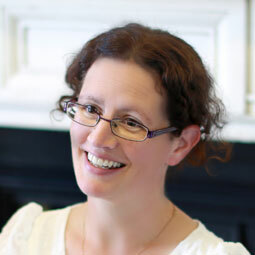 She holds a BA in Natural Sciences from TCD and a Masters in Science Communication (DCU / QUB). John joined Bio-Sciences in January 2009 having graduated from UCC with a degree in Microbiology. His portfolio includes selling leading Thermo Fisher Scientific brands such as Applied Biosystems and Invitrogen, with specific emphasis on their life sciences reagents and chemicals. Within the last few years, his role in the company has expanded to Product Specialist for Thermo Scientific Finnpipette, Thermo Scientific NUNC and Biologix consumables. His role involves maintaining and building new customer relationships, keeping customers up to date with the latest technologies and products and providing customers with product quotations. 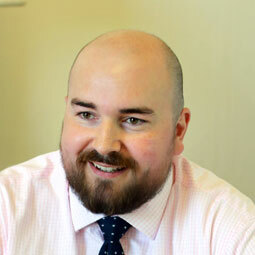 John joined the Bio-Sciences sales team in September 2012. He looks after customer accounts in Dublin and the greater Leinster area and is also responsible for generating marketing and promotional material for Bio-Sciences. He is also the product specialist for the EVOS range of Imaging Systems. John graduated with a BSc (Hon) in Biochemistry in 2005 from UCD. In 2010, he completed his PhD in the Conway Institute, UCD in Molecular Biology. During this time, he also completed a post graduate course in Principles of Management for Non-Business Postgraduate Students in the UCD Smurfit Business School. After six months abroad following his PhD, he returned to the Conway Institute to complete a Post-Doctoral position. John’s experience in a wide range of areas such as genetics, molecular biology, PCR, qPCR, cell culture and microscopy allow him to deliver the service and knowledge clients expect from Bio-Sciences. Alan joined Bio-Sciences in June 2015. 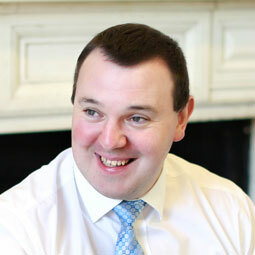 As a Sales Executive, Alan manages numerous client accounts throughout Dublin. Following his graduation with a B.A. (Mod.) in Biochemistry with Immunology from the Department of Biochemistry and Immunology at Trinity College Dublin in 2010, Alan went on to carry out a PhD in the department which focused on viral immune evasion and innate immune signalling. After completion of his PhD, Alan then proceeded to work for the Health Research Board as a Funding Project Officer. Having obtained a keen knowledge of a vast array of experimental techniques during his years in research Alan decided to make the transition to Life Science sales by joining Bio-Sciences in the summer of 2015. Alan will now take on responsibility as a product specialist for our flow cytometry range of products. Gyongyi joined Bio-Sciences in 2017 as a Field Application Specialist. She graduated in 2002 at University of Szeged,Hungary with a Masters degree in Biology, specialising in Microbiology and Biotechnology. She completed her PhD in molecular microbiology studies of opportunistic pathogen fungi in 2008. As a postdoctoral researcher she moved to Ireland and joined the Nanobio and Nanomechanics Group at CRANN-Trinity College Dublin. She worked with Ink-Jet Printing bio-materials and nanomechanical sensors for point-of-care diagnostics. In 2014 she joined Gencell Biosystems in Limerick, acquired by Becton Dickinson in October 2014. She was working for BD-Gencell as a senior scientist developing liquid handling automation for Next Generation Sequencing (NGS) library preparation. She has experience with Ion Torrent (PGM, S5) and Illumina (MiSeq, NextSeq) sequencing instruments. Her role involves technical support with Real Time PCR, Genotyping and Ion Torrent Next Generation Sequencing and helping Bio-Sciences customers with instrument installation and developing customised workflows.